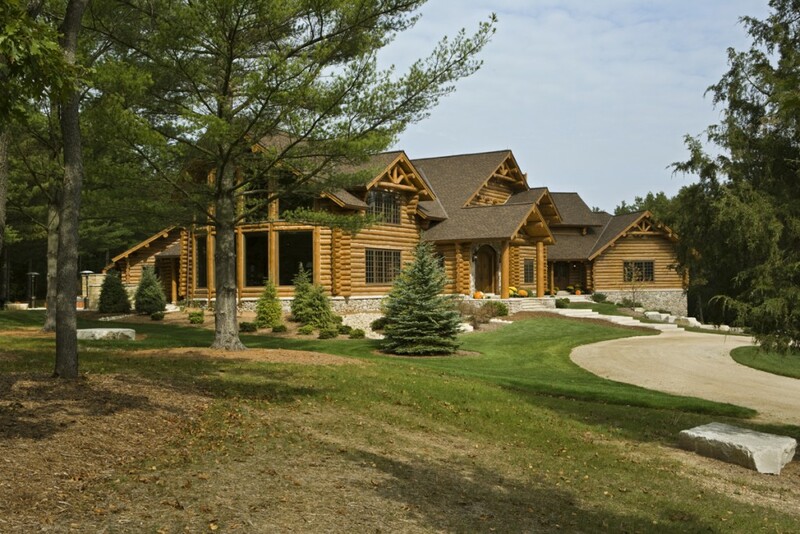 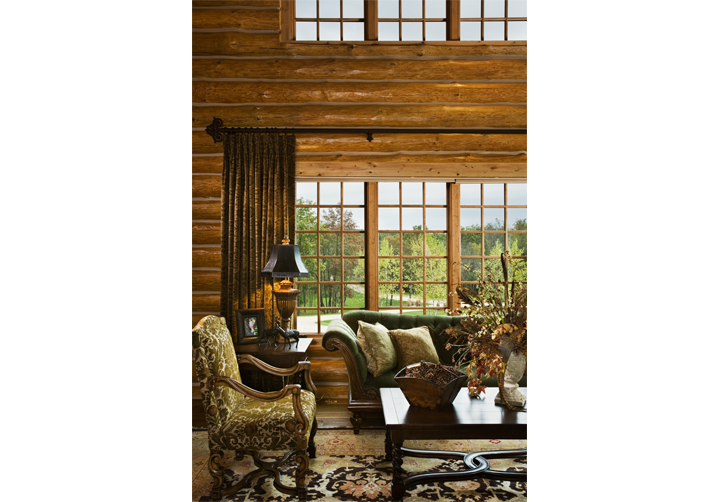 This stunning log home was a labor of love for the Hendricks family, and they turned to Marsha to help them achieve their vacation dream home. 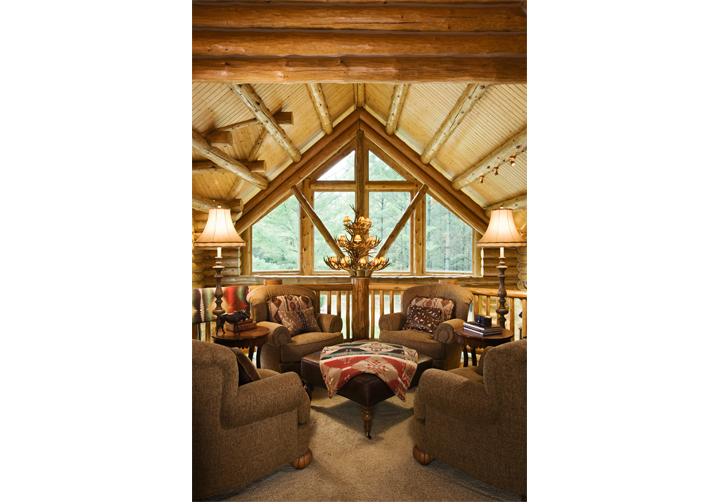 Having already been familiar with Marsha from past projects, they knew she was the designer who would listen to their requests and respond with precision and a true ear for their needs and desires. 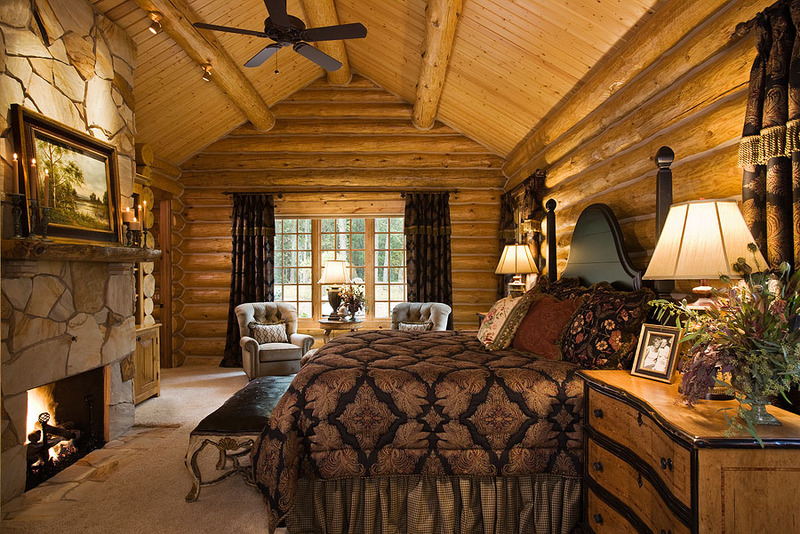 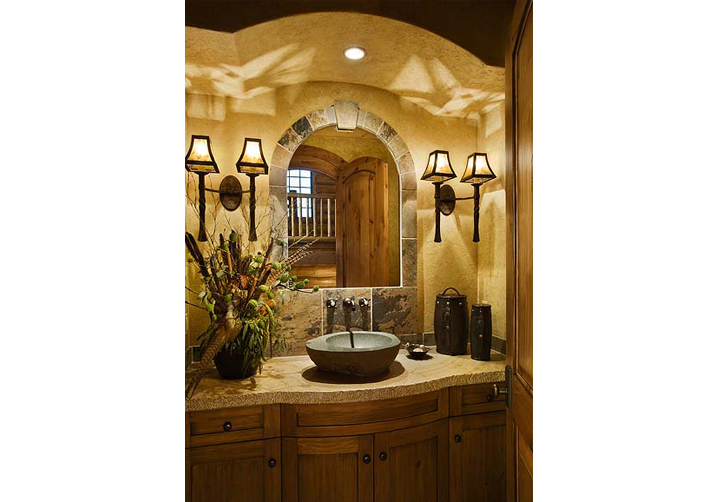 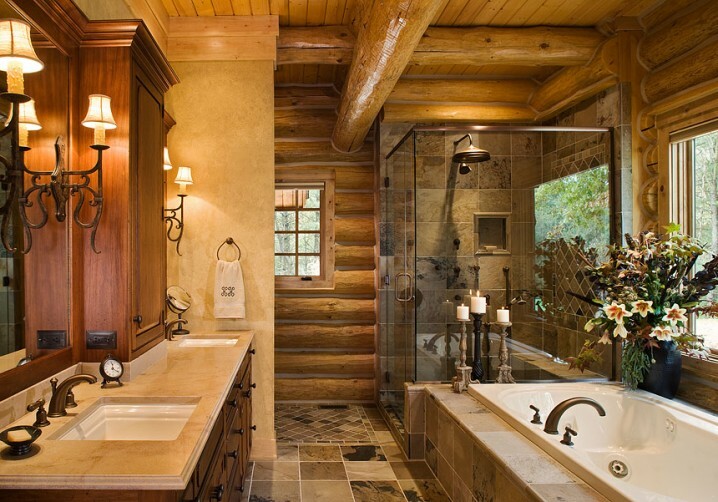 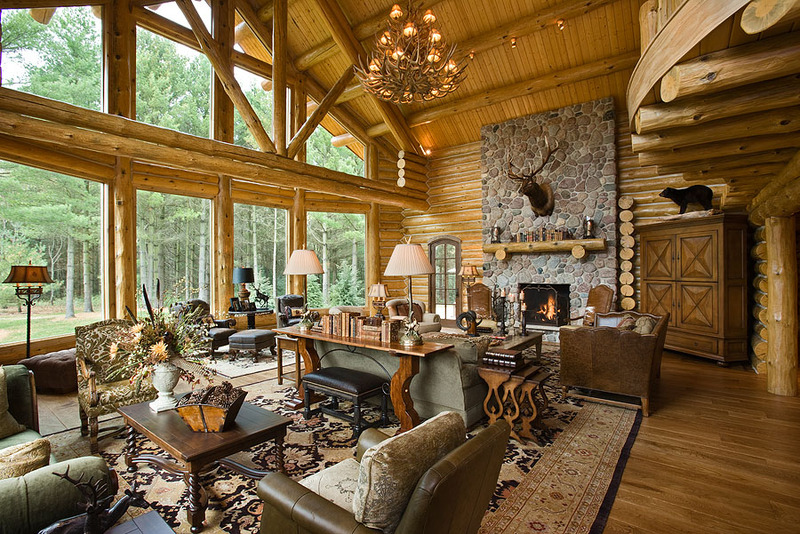 From the earliest stages of the designing and building process, Marsha ensured that the custom log home they dreamed of would satisfy what both husband and wife were looking for in their new home. 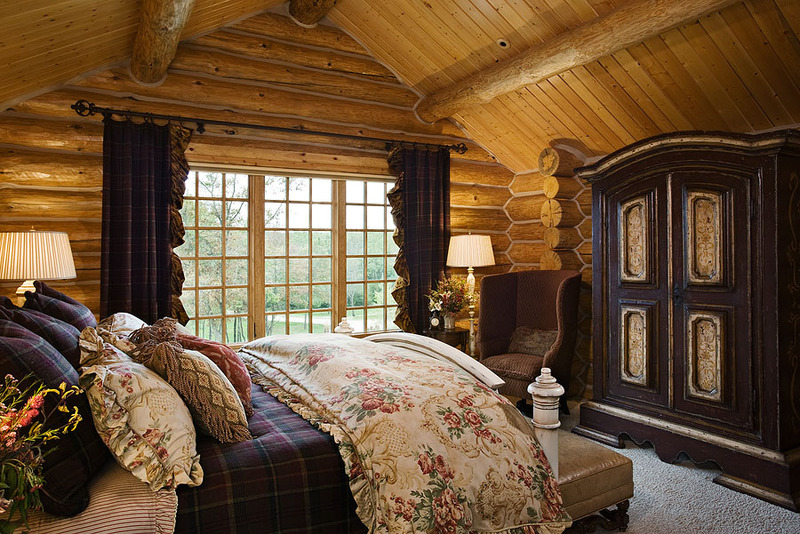 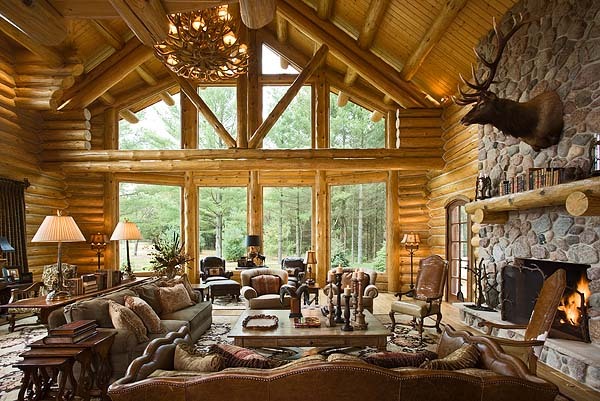 He wanted the classic rustic lodge, while she was hoping to make it a warm and welcoming haven away from home. 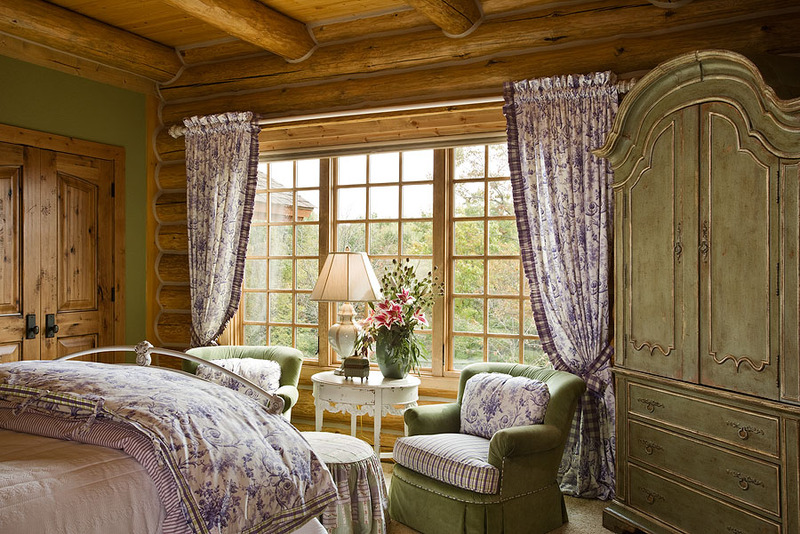 Throughout the process, Marsha seamlessly married both concepts to create a getaway that thrills and pleases both of them. 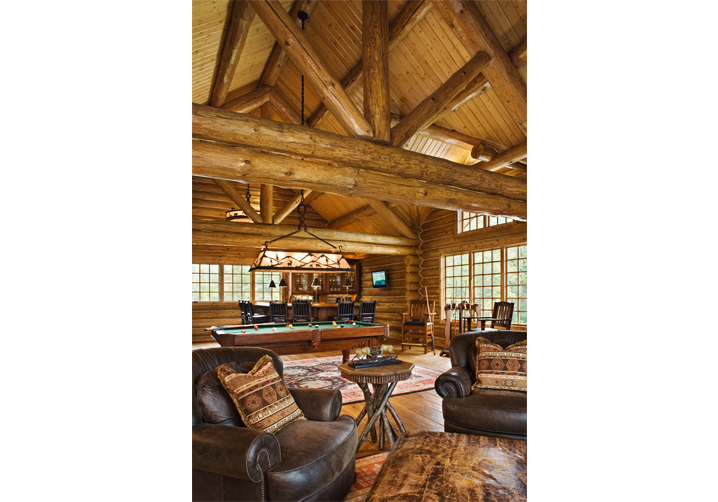 The challenge was to select and work with materials and patterns that would provide a pleasing balance to the large scale of the house and the magnificent logs, which provided the home’s structure and base note. 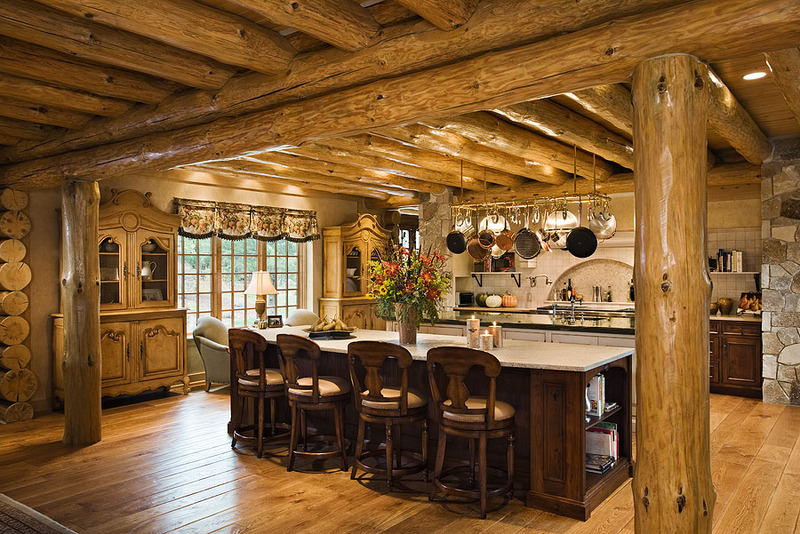 All other materials had to be thoughtfully added so as to enhance the warmth and natural beauty of the logs. 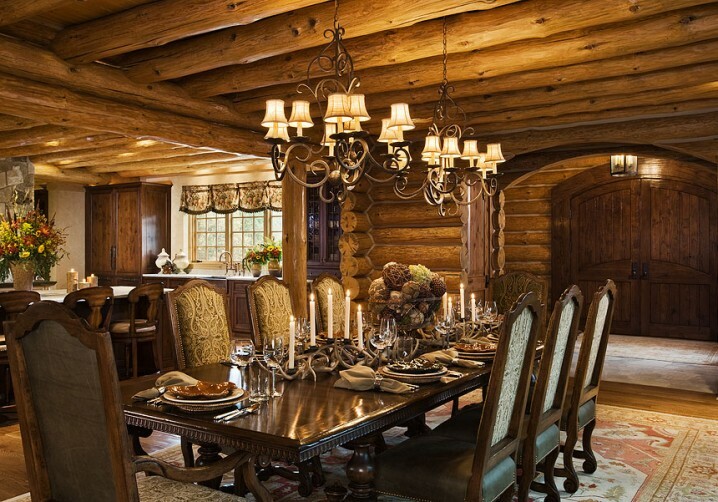 To achieve that, Marsha used other texture-rich materials such as metal, stone, leather and natural fabrics, creating a hideaway that is both elegant and relaxed.